I found an envelope while doing some cleaning a while back. Typed on it was the contents from my Dad, when he passed. 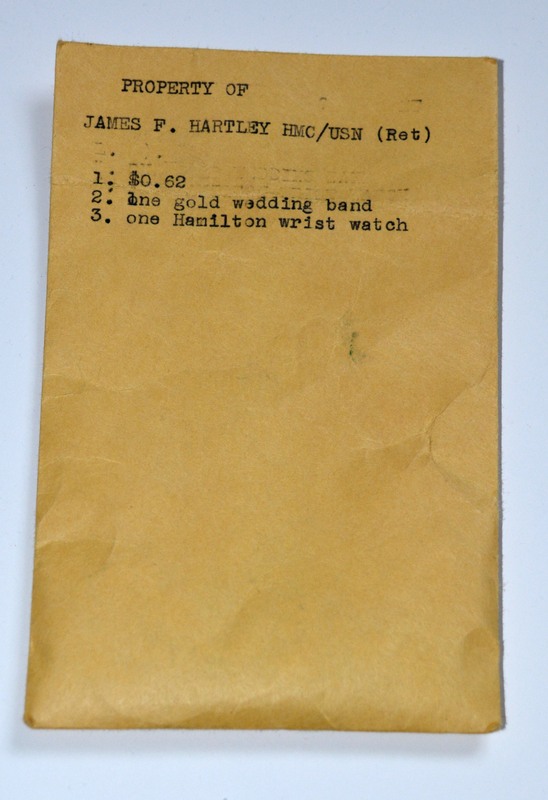 His name was on front with the list, a gold wedding band, a Hamilton watch and 62 cents. I think we sent the wedding band along with Mom. The Hamilton watch stopped many years ago, but I will never part with it. And then I though of the perfect thing to do with his coins. I’ve noticed change on headstones on my visits and wandering around the cemetery and I finally looked up the meanings for this a while back also. So I stashed the coins in my car and knew where I was taking them. A 1965 penny and quarter from my Dads pockets. He passed in 66. 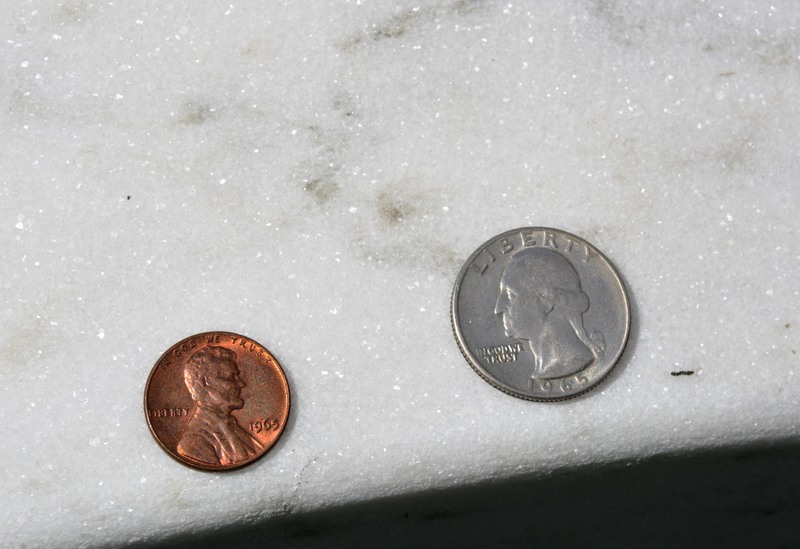 Leaving a penny at the grave means simply that you visited. A nickel indicates that you and the deceased trained at boot camp together, while a dime means you served with him in some capacity. 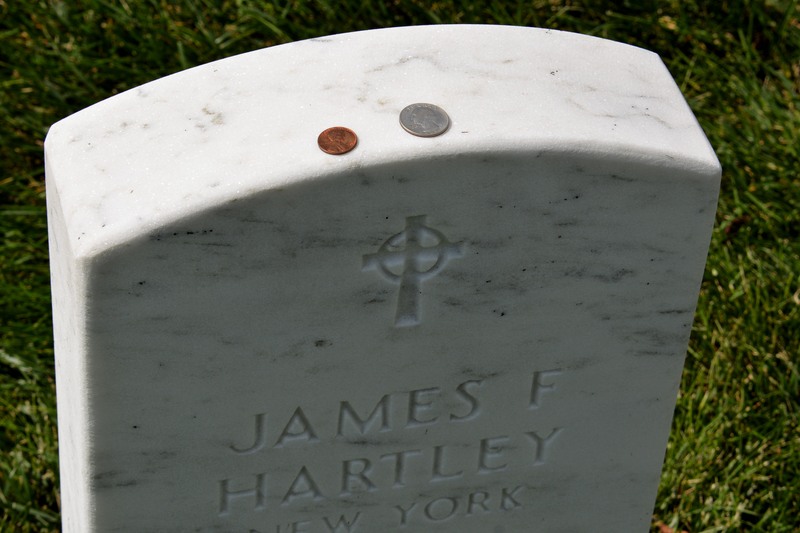 By leaving a quarter at the grave, you are telling the family that you were with the soldier when he was killed. Well I decided to leave a quarter because I was with him when he passed and a penny to denote my visit, both from that envelope. I think I’ll take the remainder of the change and just put that on the Medal of Honor winner that lies next to them on my next visit. I’ll be down for the fall visit soon. I think I’m going to gather the change I have (lots) and make a donation to Wreaths Across America for the work they do at Arlington and many cemetery’s across our country. And a thanks from our family for the wreath at holiday time. An Envelop I’ll be saving. Stories of hero’s in Vegas that bring tears to the eyes and faith in humanity. Proper rest is the goal. It’s a damn illusive one. I’m getting into that age range, where countdown to kickoff has a whole new meaning. A long walk in the morning is in order, there is a beautiful field of freshly rolled hay and some equipment still out there to photograph. It been a great and interesting day.